This bike was built from two old mountain bikes. 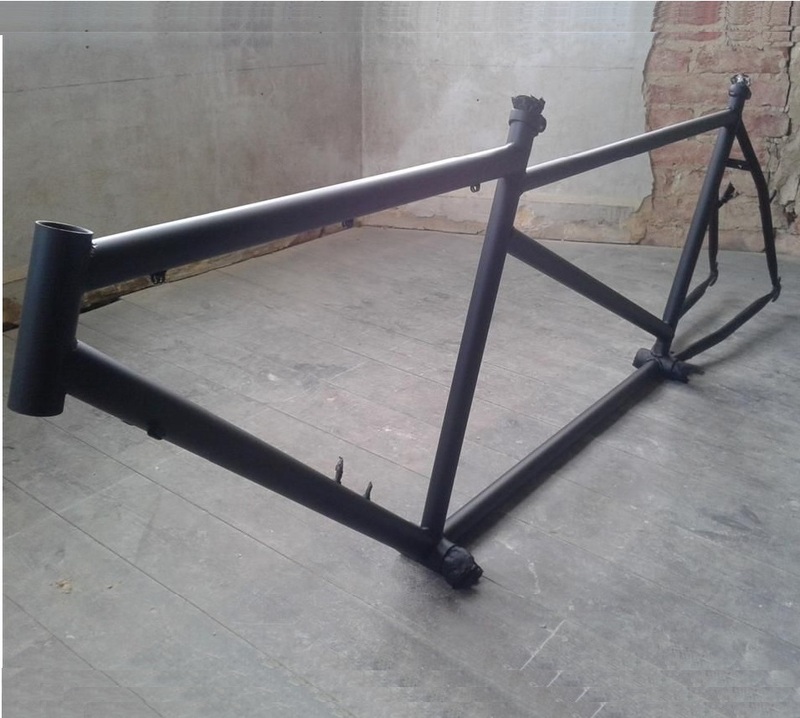 The bike frames were cut with an angle grinder and the front triangle of one frame, and the rear triangle of the other were welded together with sections of metal tubing added in between them to form the tandem frame. The components of the old bikes were cleaned and salvaged for use on the tandem. The rear deraileur of one of the bikes was modified to form a chain tensioner. 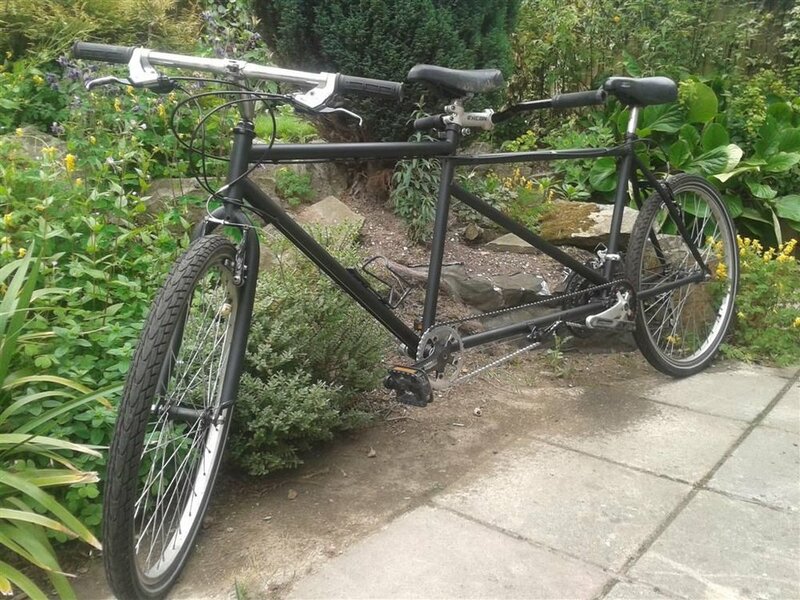 Once built, the tandem was put through its paces by being ridden from London to Brighton.